Companies with top scores in the McKinsey Design Index, which quantifies the business value of design, outperformed industry-benchmark growth by as much as two to one. But how exactly do you measure design? Is good design a quantifiable business metric, or is it something more serendipitous? How can businesses successfully integrate designers and design thinking into their organizations at scale? These challenging questions were put to a panel of design experts from the global consulting firm McKinsey & Company by Fortune chief executive Alan Murray and an engaged audience of product designers, design consultants, strategists, and business owners. 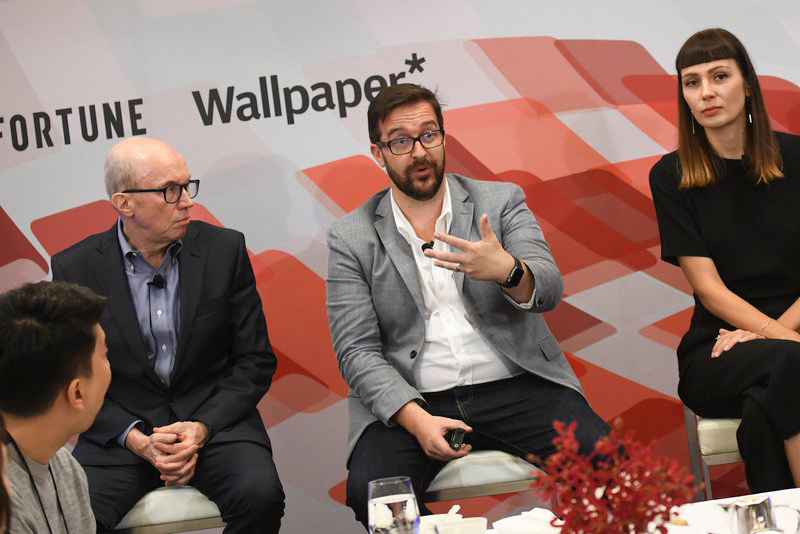 The session took place last Wednesday at Fortune’s Brainstorm Design conference in Singapore; McKinsey associate partners Rod Farmer and Matt Durack were joined by the firm’s experience design director, Kim Müller. Farmer kicked off the conversation by explaining what scale actually means in this sense: “To build capabilities that enables an organization to design at a larger extent in a uniform and sustainable way.” He also went on to explain how quantifiable impact—actually measuring the impact on the bottom line—is the only way to achieve this. The key moment for growing companies is “when the founder finally has to split roles and delegate parts of their job to other people,” Durack said. That’s when scale has the potential to become a liability. After a quick dive into the various methods that McKinsey recommend for measuring the effectiveness of design, the audience were asked to put their own business problems to the panel. The discussion then moved on to the definition of design and a need to separate the craft of a trained designer from the application of design thinking across different business disciplines. To give a practical example of what scaling a business using design-led thinking, Müller explained a recent project working with a pizza retailer. The pizza firm was struggling in the face of competition from delivery startups, so a small team from McKinsey went in. After five weeks, the group developed a minimum viable product—the smallest thing they could build that delivers customer value—called Pizza of the Day. The retailer launched the offer to 10% of customers connected to one store, then slowly honed the issues with that initial offer. (An example: They conducted A/B testing on photos of pizza and decided to reshoot all of the pizza imagery used by the business.) “By going step-by-step, we knew what we needed,” Müller said.